Los Angeles, CA — LA Roma Films, the Los Angeles and Rome based production company producing the feature length documentary film BOSTON, announced today that Olympic Bronze Medalist and American Record Holder Deena Kastor has joined the production as Executive Producer. 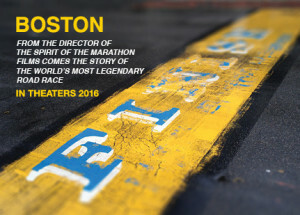 Directed by Jon Dunham, the award winning filmmaker of the critically acclaimed Spirit of the Marathon films, and produced by Academy Award nominee Megan Williams, BOSTON is the first feature film to be produced about the world’s oldest annually contested marathon. BOSTON will tell the rich story of the Boston Marathon from its beginning – directly inspired by the inaugural Modern Olympics’ advent of the marathon race – to the present day. The film will chronicle the growth, change, triumph and tragedy of the iconic race demonstrating how it has both reflected and catalyzed social change. Planned for release in 2016, the Boston Athletic Association granted LA Roma Films exclusive access to make the film. 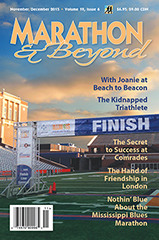 Dunham and Kastor previously worked together on Spirit of the Marathon (2008) the classic running film that has become a viewing ritual for runners around the globe in the days leading up to their next race.